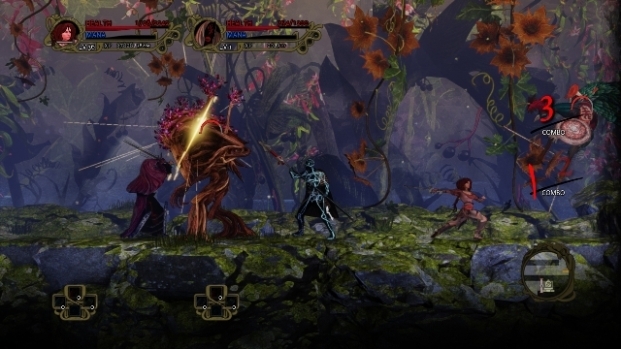 Meet Abyss Odyssey, a roguelike fighter platformer. I just like to say that: “roguelike fighter platformer”. It’s like someone’s dipped into my brain, plucked out a concept and went “sure, we’ll make that”. A roguelike, where death is harshely punished. A fighter, where combat prowess is tested. A platformer, where you jump, accurately, onto things, and do a spot of climbing. Abyss Odyssey is all of those things. OK, so, it’s not a complete success, but it is a marvellous experiment. It calls itself a fighter, but the mechanics are a touch light. It’s a platformer in so far as you jump around, but it feels a touch lightweight due to a lack of variety or testing obstacles. Yet for its flaws, there’s something undeniably compelling about Abyss Odyssey. Narratively Abyss Odyssey is simple: there’s a big evil at the bottom of the abyss, go smush it. The game is more of a character piece as trips down the labyrinth will see you meet and greet a number of curious, melancholy individuals, including instrument playing skeletons and dying soldiers. There is a story to uncover through collectible journal pages, too, but it’s all largely light framing. 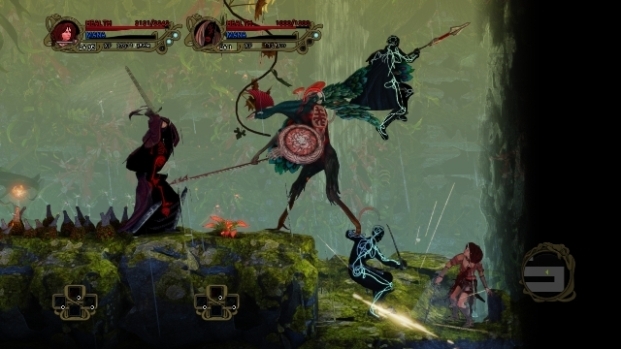 Abyss Odyssey is more about the doing and the moment than the overarching tale. The gameplay is where Abyss Oddysey’s strengths truly lie. Getting to the bottom of the Abyss isn’t a huge task – one to two hours work at most – but you must complete it in one sitting, and multiple completions are rewarded. Losing your health in battle will put you in a danger state, and failure to find an altar when in trouble results in a restart. As a roguelike, Abyss Odyssey falls on the kind side, as progress is still made beyond death. 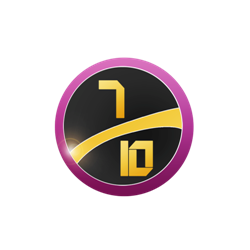 Characters level up, fighters are unlocked and paths open independently of successful attempts, but you will lose your accrued gear, and your next attempt will see you tackle a different set of rooms. Abyss Odyssey has the usual roguelike charms, then, and traps do what they can to add a bit of spice to the admittedly simple platforming, but it’s the game’s combat system – heavily inspired by Super Smash Bros. – that gives it the bulk of its interest. Similarly to Smash Bros. your fighter has a standard attack that can be augmented with directional input, three special attacks – that you set from a selection – a block, a grab and a dodge. Attacks are nippy, and enemies are quick to fall over. It’s not a perfect system, as the game’s combat has some notable problems. The dodge, for instance, leaves you facing the “wrong” way, and sometimes character reactions can feel sluggish. You see, when you dodge you remain facing the way you were facing upon using the dodge, which is fine if you play the game in a Castlevania fencing style, but it means there’s no dodging “past” an opponent to attack them from behind, as you can’t swing around quick enough. Perhaps that’s just my Smash reactions wanting to do that. Secondly, there are no “big” attacks. Super Smash Bros’ smash attacks are hugely satisfying gambits that add an important notch to combat strategy, but Abyss Odyssey only has a very standard pool of middling slaps and stabs. 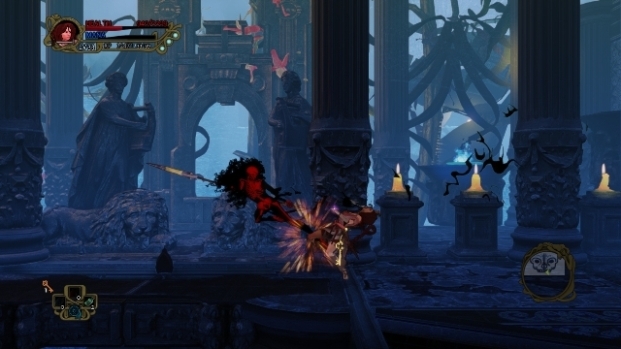 The combat lacks the punch, the pow, the whoomph that defines a strong counter or combo-ender, and this shows a fairly fundamental lack of understanding for the genre, alongside crippling the overall impact of Abyss Odyssey’s fighting credentials. What’s here is fun, but it feels like a lot of sentences without full stops. Combat happens, but you always feel that it’s just lacking those climactic moments. Not that that’ll stop you playing. There’re enough surprises in Abyss Odyssey to keep you trying again, and the lure of more content to see once enough players run the labyrinth is enough temptation to keep you trying, and to jump online and help others too. It might not truly be the Smash Bros. combat-mimicking adventure it sets out to be, but it’s compelling stuff nonetheless. VERDICT: Abyss Odyssey is absolutely the sum of its parts. While its platforming and fighter credentials might not hold up individually, their combination alongside the roguelike sensibilities and community co-operation help elevate these lacking mechanics to be something more compelling than they would be alone. A curious experiment, and one that’s well worth continued testing.